In the early 1950’s, Maccabi Haifa’s management understood that without a serious youth team, there would be no one to take the place of the adult team members, who had just reached the premier league. They were able to reach the premiere league thanks to the help of acquistion players, who were mostly bench players from other teams. The youth team Maccabi “Shlomo” Haifa was established upon the initiative of Otto Shelpenberg, one of the team’s senior players who was then at the end of his career. It was named in honor of Shlomo Polikman, who was killed in the War of Independence while defending the oil refineries in Haifa. The Maccabi Haifa team trained players who later formed the basis of the great team for the next decade: Yonatan (Jonny) Hardy, Zecharia Ben Zvi, Yossi Cohen, Asher Almani, Nahum Polinero, Aharon Daniel, Yitzhak Tzvi and others. When they moved to the adult team, they left a gap that was left unfilled until 1955, when Arie Kokh undertook the training of the youth group. Already in their first season the team won the Kerner Cup (Israel Youth State Cup). On their journey to win this title, they won the Gadna Tel Aviv team1:3, Maccabi Netanya 0:5, Maccabi Tel Aviv 1:2, and Hapoel Hadera 1:2 in the finals. Among this youth group the goalkeeper Yehezkel Gershoni, the link Noah abrahamovitch, and the center forward Yigal yaabatz are particularly noteworthy. The last was injured in his leg and retired at a young age and would later become the manager of Totenham Hospers, amongst the leading British soccer leagues. During the next season, the team won the North District Championship with 5 points more than its nemesis – Hapoel Haifa. Another cup in memory of zeevi, which was donated by the North District Judges Association, found its place in the Maccabean closet. The king of goals in the season of 1957/58 was Yaakov Fishman, who kicked 54 goals, a record in the history of youth teams, though it must be noted that until the early 1980’s, the youth teams played in a league that included only northern teams. Although it produced outstanding soccer players, the youth team did not succeed in winning other national titles. Two of the Haifa teams distributed the local titles between them. Once in a while there was a youth player who stood out of the crowd for a short period, but that never lasted. The first outbreak into the awareness of the youth league fans occurred In the season of 1974/1975, when Maccabi Haifa won the national championship for the first time in its history, under the guidance of Jonny Hardy, the coach who played in the first team of Maccabi “Shlomo” Haifa. Over a thousand spectators attended this game. Shimshon Ido, who was crowned as the youth league’s king of goals scored 27 goals. The team that won the historical championship included the following players: Imanuel Shwartz (an excellent goalkeeper who continued to the adult team and later moved to Maccabi Tel Aviv), Yoram Geller, Doron Salmona, Shimshon Levi (who played in the adult team), Gabi Luft (who continued to the adult team), Shaul Salame (who played also in the adult team), Eli Beno, Moshe Goldstein, Yitzhak Gaber, Lior Levin, Roni Laniado, Rami Kalish, Ehud Kronenberg, Oded Balush (who continued to the adult team), Yitzhak Kalif (who continued to the adult team), captain Shimon Nagola who also continued the adult team, Yitzhak Segal, Rafi Borochovitz, Tzvi Barkai, David Weizman, David Markman, Rubi Klein, Meir Ben Shitrit (who continued to the adult team and later moved to three other Tel Aviv teams, Maccabi, Hapoel and Shimshon), Menashe Mizrahi (who continued to the adult team), Shimon Ido (who continued to the adult team), Yossi Kremer (won two championships with the team and then moved to Maccabi Tel Aviv, where he won the State Cup), Haim Gemesh, Dani Hardy, Doron Levinson and Sharon Polik. This season was not only about winning titles. There was a real revolution in the club’s way of thinking. Noam Reshef, who was until then an ordinary fan, was asked to take upon himself the managing of the youth department, which included only a youth team, composed of a boys’ team and and a girls’ team. Since the team’s dressing rooms were located under what is known today as balcony C, Reshef understood the importance of expanding the number of teams in the club on the principle of scattering one’s oats widely. Under the pressure of the Haifa municipality, who were the owners of the stadium, the dressing rooms were moved to the location under the main balcony and the department’s activities slowly expanded. Today there are nine youth teams – what would have seemed in the past as an incredible fantasy materialized in this case into a glorious reality. Four years later, Maccabi Haifa and Jonny Hardy did it again (season 1978/1979). After he lead Maccabi Haifa to the first title, Hardy returned to be carried on the shoulders of his pupils. At the end of the “play off” with Hapoel Jerusalem, Maccabi Petah Tikva, Maccabi Tel Aviv and Maccabi Haifa - the champions of their regions, Haifa won the championship, thanks to three victories over their opponents. The heroes of this championship formed the base of the adult team, that five years later won the first championship title for adults. Among them, the outstanding players were the goalkeeper Tzadok Avrahami, defensive player Eitan Aharoni, defender Eli Cohen, midfielders Gabi Amsalem and Yoram Cohen, and the strikers Moshe Selector and Reuven Held. Their friends should not be underestimated either. They contributed a great deal to the huge achievement that was appreciated by the experts- They understood that in Maccabi Haifa, an empire was being built from the ground up. The other players were: Shaul Koba (who later became the fitness coach of the adults), Yehezkel Shiri (who continued to the adult team), Roni Rozenthal (the first player who was sold to Europe by the adult team), Rafi Osmo (“The Big”) who won with the adults three championships, and Avraham Abukarat who won four championships with the team and worked as a coach assistant. In the year 1979/1980, the “green spot” from the north returned and shined on the soccer map. After 25 years the team returned and won the State Cup. This time the team’s coach was Asher Almani, who was also an alumni of the famouse Maccabi “Shlomo” Haifa team. In the cup finals, Maccabi Haifa won Gadna Yehuda 1:2, thanks to goals that were kicked by Reuven Held and Moshe Selector. The winning team included the players Avi Ran, Ofer Schwartz, Yehezkel Shiri, Eitan Aharoni, Rafi Osmo (“The Big”), Ofer Rave, Shalom Levi, Roni Rozenthal, Moshe Selector and Reuven Held. The following players also belonged to this team: David Salem, Manashe Fucks, Gabi Nanashwili, Rami Elbaz, Ori Cohen, Eli Karando and the goalkeeper Atias. A year later, Maccabi Haifa reached the cup finals again, this time against Maccabi Tel Aviv. The game ended with a draw of 1:1, and Tel Aviv won the cup after a victory of 4:5, with penalty kicks 11 meters out from the goal. The youth league changed its direction when the union decided to cancel the regional leagues and establish a national youth league instead, in the format of the adults’ league. Soon after, in the first season, Maccabi Haifa won the national title. In the season of 1983/1984 they emulated the achievement of the adult team that won the state championship for the first time since their establishment. Haifa accumulated 50 out of the 60 available points, 5 points more than Tel Aviv and 7 points more than Beer Sheva. 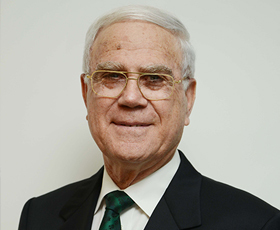 The name of the team was changed to Maccabi “Shmuel” Haifa, in memory of Shmuel Beinhecker , CEO and honor president of the Soccer Department for decades. The team also won the “Champion of Champions” cup following a victory of 1:4 over the previous winner, Hapoel Ramat Gan. 15 year old Itai Mordechai was crowned as the group’s king of goals, although he had another three years to play in the youth team. The team players that made history were: Ron Holtzman, Andrei Teverni, Yaron Dahan, Gadi Ohayun, Lior Rozenthal, Perry Gruper, Yusuf Mugrabi, Erez Gutman, Nir Klinger (captain), Ofer Mizrahi, Marco Balbul, Noam Michelle, Moris Malka, Itai Mordechai and Tino Mechsham. In the season of 1984/1985 Maccabi Haifa repeated the achievement and once again won a second title consecutively. Again, their winning coincided with the adult team that won too. This victory was achieved in spite of the fact that 8 of the last season’s stars finished their term in the youth team and Hardy had to compose a new group. The team accumulated 43 points, kicked the largest number of goals (58) and gained advantage over Hapoel Beer Sheva. (1), Roza Mehsham (1) and Noam Michelle (1). 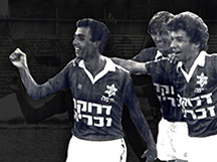 In the season of 1985/1986, Maccabi Haifa reached only the third place after Hapoel Petah Tikva and Hapoel Haifa. The goal kickers for this year were: Itai Mordechai (5), Moris Malka (11), Dani Sharvit (10), Ofer Mizrahi (10), Nir Klinger (5), Perry Gruper (4), Yusuf Mugrabi (4), Lior Rozenthal (2), Jamil Mugrabi (2), Gadi Ohayun (1), Roza Mehsham (1), and Noam Michelle. Also the season of 1986/1987 wasn’t the best in the history of the Youth Department, but it produced one of its greatest soccer players of all times- Reuven Atar. He kicked 13 goals. The other players who kicked smaller amounts were: Aharon Saar (8), Itai Mordechai (6), Yossi Tzarfati (6), Moshe Cohen (6), Rafik Halabi (4), 15 year old Yaniv Cohen (4), Nimrod Rozels (2), Shaul Bodek (2), Dani Malkin (2) and Shmuel Goren (1). In the season of 1987/1988, Maccabi Haifa remained far from the top rank, reaching only fifth place. The team had no outstanding goal kicker. Aharon was the top goal kicker with 7 kicks, and after him the following players trudged along: Nimrod Rozels (6), Moshe Cohen (4), Yaniv Cohen (4), Chai Baba (4) Dani Malkin (3), Eyal Berkovitch (2), Shmuel Tergen (2), Yossi Madar (1), Tzabar Daniel (1), Shai Ben David (1), Avraham Dabul (1), Shai Levi (1), Rami Bicho (1), Rami Rahamim (1), Ayub Walid (1), Doron Putshnik (1) and Yitzhak Dadon (1). In 1988/1989 Maccabi Haifa fought for the top against Bnei Yehuda, who finally won the championship. Maccabi Tel Aviv was ranked second , and Haifa reached third place, with goal kickers Shmuel Tergen (13), Eyal Berkovitch, who was discovered as a great talent and his career path is well known (10), “The Big” Moshe Cohen (8), Yaniv Cohen (5), Yitzhak Dadon (5), Chai Baba (4) Tzabar Daniel (3), Ofir Remler (3), “The Small” Moshe Cohen (1), Gil Kerpo (1) and Eli Dahan (1). 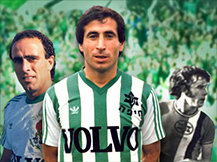 In the season of 1989/1989 Berkovitch kept shining and Haifa was again third place. He kicked 7 goals, followed by Chai Baba (6), Yaniv Cohen (5), Shmuel Tergen (5), Yitzhak Dadon (5), Aiman Halaila (2), Shai Popolovsky (1), Ofir Remler (1), and Hana Samir. And then came the big bang. Eyal Berkovitch, Yaniv Cohen and Shmuel Tergen left the team and moved to the adult group, where they won a first “double”. As in the first two championships, the youth emulated adult achievements. The team coach, Asher Almani, the first youth team’s alumni, created an excellent group which maintained a close struggle against Hapoel Tel Aviv, despite their advantage of 3 points. The team continued to display its great capabilities in the State Cup Finals when Haifa won Maccabi Netanya 1:6, thanks to players who kicked pairs of goals – Hana Farhud, Shai Popolovski and Moshe Hershko. The “doubler” team included Asraf Damoni, Avi Peretz, Ron Buhadana, Dan Buhadana, Arik Benado, Sagie Gonen (captain), Beni Hershkovitz, Avi Ginsberg, Ori Tzur, Asi Ovadia, Dimitri Neidrovitz, Ido Shalgi, Nimrod Ruash, Noam Sorek, Hana Farhud, Guy Razon, Shai Popolovski and Moshe Hershko. The following players kicked various goals: Sagie Gonen (8), Shai Popolovski (8), Hana Farhud (7), Ori Tzur (6), Ron Buhadana (4), Assi Ovadia (3), Arik Benado (3), Avi Peretz (3), Moshe Hershko (3), Guy Razon (2), Noam Sorek (2), Eyal Ben Eda (1) and Dimitri Neidrovitz (1). The “double” team did not hold the crown in the season of 1991/92. They ended up ranked fourth place, a long way behind the champion, Maccabi Tel Aviv. This year Maccabi Haifa had a technical loss and did not participate in the Derby games, because the youth players were recruited for the adult team. The latter declared a strike because of a financial dispute and did not participate in the match against Hapoel Petah Tikva, that made efforts to win the youth (0:1), with the help of a Russian goalkeeper, Victor Chanov. This season the following players were the top goal kickers: Hana Farhud (11), Ori Tzur (9), Sagie Gonen (7), Moshe Hershko (4), Dan Buhadana (4), Beni Beliti (3), Ron Buhadana (2), Noam Sorek (2), Avi Dahan (2), Idan Rozenblat (1), Yaron Amsalem (1), Arik Benado (1), Nir Shitrit (1), and Nidel Sheldata (1). Maccabi Haifa recuperated a bit in the season of 1992/93, when it reached second place in the national championship games after Maccabi Tel Aviv. Beni Beliti, the son of former striker Gabi, kicked 14 goals for the team. The other players who kicked goals were: Haim Silves (10), Erez Mutzafi (9), Guy Dahan (4), Tamir Selector-brother of Moshe, whose kicks brought the first championship to the Maccabi Haifa adults (3), Doron Iloz (3), Golan Deri (2), Bari Oz (1), Ben Tzion Rozenfeld (1), Ido Keren (1), Yaron Amsalem (1) and Yoni Dahan (1). The group found solace in winning the State Cup in memory of Avi Ran- The deceased goalkeeper, who was killed in a maritime accident in the Sea of Galilee. The team got the cup after winning penalty kicks over Hapoel Petah Tikva 3:5 (2:2 in 120 minutes). The hero of the game was Beni Beliti, who was chosen as this season’s best soccer player in the youth league. Beliti kicked the two goals after the players of Melabes were 1 point ahead. The team managed to close the gap towards the end. In a duel from the white spot, those who kicked for Haifa team were Yaron Amsalem, the goal keeper Sagie Strauss, Golan Deri, Doron Iloz and Haim Silves. The title of second on champion was attached to Haifa also in the following season (1993/94), following the champion Hapoel Kfar Saba. Ami Assulin kicked many goals for Maccabi Haifa (15), and so did the following players: Haim Silves (9), Ben Tzion Rozenfeld (8), Arik Asaraf (5), Kobi Ganon (5), Eran Vaknin (3), Sharon Ovadia (3), Eitan Atias (1), Tamir Selector (1), Yaniv Valerstein (1), Maayan Adler (1), and Sharon Zohar (1). Only two points were left for Haifa to close the gap with the champion Maccabi Netanya (season 1994/95). The fascinating league in which Bnei Yahuda and Hapoel Petah Tikva faught for the title, ended with a photo finish, and this was the grading: Maccabi Netanya (37), Bnei Yehuda and Hapoel Petah Tikva (36), and in fourth place, Maccabi Haifa (35). Ami Assulin kicked the same amount of goals as in the previous season - 15. The other goal kickers were: Yossi Janah (13), Moti Kol Tov (3) Nir Madassi (3), Ben Tzion Rozenfeld (2) Kobi Maman (2), Rafi Meshulam (1), Eliran Elkayam (1), David Ben Shoshan (1), Nir Levi (1) and Tal Asaraf (1). Maccabi Haifa’s descent to Sixth place in the season of 1995/96 was a very rough landing. The team ended the season with 37 points less than the champion, Maccabi Tel Aviv. Tzahi Iloz (13 goals) kicked many goals for Haifa, and so did David Ben Shoshan (12), Eliaz Levi (8), Sami Masud (4), Aiman Halahla (3), Sharon Avizohar (3), Assaf Kalman (2), Lior Aputa (2), Basem Salame (1), Nir Levi (1), Shachar Simantov (1), and Moti Kol Tov (1). In the summer of 1996 the youth department said goodbye to Noam Reshef, its senior chairman who was also a member of the adult’s group management for a few years. Reshef was part of a national campaign against recruiting players who did not serve in the army for the national teams. Avi Nahmani replaced him for the next three years. After this tough season, Maccabi Haifa once again reached the top (1996/97). Despite its high place (second), it did not manage to undermine the champion, Maccabi Tel Aviv, that won with an advantage of 20 points. The goal kickers of Haifa were: Tazi Iloz (11), David Ben Shoshan (9), Rajid Barensi (7), Eliaz Levi (5), Arye Eliad (4), Assaf Kalman (4), Sami Masoud (3), Shachar Simantov (2), Shlomo Vilner (2), Lior Aputa (1), Moti Kol Tov (1), Avi Evra (1) and Nadiv Simantov (1). 1997/98 was a season that Maccabi Haifa would like to forget. The group ended in 10’Th place, the worse in the team’s history. Rajid Barensi kicked 11 goals, Shlomi Ben Hamo kicked 8, Nadiv Simantov (7), Erez Masika (6), Assaf Kalman (4), Yaniv Katan (3), Nadav Gutsman (2), Segev Weizman (2), Arie Eliad (2), Mordechai Shachar (1), Moshe Shachar (1), Avi Evra (1) and Amir Signani (1). After the fall came the rise. In the season of 1998/99, Maccabi Haifa won the double title again, for the second time in its history. The team’s coach was David Levi, former defender of the team during the 80’s. Haifa won the champion title thanks to its ferocious attack with 78 goal kicks. Nadiv Simantov kicked 25 of these goals, and broke the record for Maccabi Haifa players since the establishment of the national league. After him came: Shlomi Ben Hamo (15), Shai Dahan (10), Nadav Gutsman (8), Dedi Ben Hamo (7), Yoav Ziv (3), Nir Ashkenazi (3), Ido Strauss (2), Tom Benado (1), and Yossi Hazan (1). In the cup finals, Maccabi Haifa played against Maccabi Tel Aviv and won 0:3, preventing the opponent from winning a third consecutive time. Ami Teyar (51), Yaniv Katan (86) and Nadiv Simantov (90) kicked the goals for Haifa, and the following players participated in this game: Yehiel Eliaz, Nadav Gutsman, Sharon, Ami Teyar, Nir Ashkenazi, Ido Strauss, Dedi Ben Hamo, Shai Dahan, Nadiv Simantov, Shlomi Ben Hamo, and Yaniv Katan. Yoav Ziv, Tom Benado and Binyamin participated as substitute players. Again there was a swap in the role of youth department chairman. Avi Nahmani retired and was replaced by former player Perry Gruper, who was working in addition as a professional manager for about a year. On January 2000 Shuki Frenkel replaced him as the youth department manager, and Gruper was left with the role of professional manager. Maccabi Haifa was a single step away from a second consecutive “double”, an unprecedented accomplishment by any standard, when it lost the championship to Hapoel Petah Tikva. Hapoel Petah Tikva gained an advantage of one point (season 1999/2000), as a result of “The Game of the Season” between them. Haifa already had an advantage of 0:2. It allowed its opponent to return to the game and win 2:3, which eventually determined the destiny of the championship. Maccabi Haifa compensated by winning the cup for the second consecutive time – something that did not happen in the club before. The “Greens” won Hapoel Haifa 1:3 with a goal kicked by Shai Dahan. This striker kicked 24 goals in the league, and his friends kicked the rest: Dedi Ben Hamo (11), Shlomo Edri (8), Moti Shachar (8), Yoav Ziv (5), Ami Teyar (4), Ala Halahla (4), Fadi Rabia (2), Tom Benado (2), Ido Strauss (1), Kamal Jabrin (1), Yossi Nagar (1) and Roman Draveniuk, a Russian soccer player who stayed in Haifa until he finished his term as a youth player. A “tragedy” hit the youth team of Maccabi Haifa, and all because of a single (!) goal, which prevented them from winning another title (2000/01). For the first time in history, the championship was determined by one goal. Maccabi Tel Aviv, that accumulated 62 points, won the title. Maccabi Haifa, under the training of Roni Levi, former player from the mid 90’s, had the same amount of points. The Haifa team lost the title because of a bad season opening, due to the lack of chemistry among the players. They lost to weak teams and as a result ended the season with less points. They hit the rock bottom in the cup games, which were won by Ironi Ramat Ha Sharon from the second league. This downfall was a turning point, and the Haifa players recuperated and re- -emerged with an impressive finish, but it ended with losing the title due to one goal. The goal kickers of Haifa for this season were: Shlomi Edri (13), Nir Berkovitch (5), Yossi Nagar (5), Roman Draveniuk (4), Fadi Rabia (4), Itzik Cohen (4), Avishai Atias (4), Gidon Edgo (3), Shmuel Hazan (3), Liad Amir (2), Saleh Saleh (2), Ala Halahla (2), Hassan Halabi (1), Yakubo Igbini (1), Haled Nidal (1), and Islam Knaan (1). In the list of goal kickers, Yakubo Igbini, a 17 year old player who was bought from Nigeria by Maccabi Haifa is worthy of special note. After a few games in the youth team, the managers of Maccabi Haifa decided that the youth league was a “piece of cake” for him. They decided to lend him to the adult team of Hapoel Kfar Saba, which played in the first league. Igbini did not disappoint them. He kicked a number of goals, but they did not prevent the fall of his team to the second league. Nevertheless, this season put him one step ahead. The president of Maccabi Haifa, Yaakov Shachar, proposed a revolutionary idea in the Israeli soccer; Every group in the first league would be able to recruit six foreign players, but only five of them would be allowed to play in the game itself. The change in the regulations allowed Yakubo to advance quickly. He participated in two championships. He was also one of the stars of Maccabi Haifa, which participated in the championship league. He was sold to the English Portsmuth group a short time later, and he was the main reason for its rise to the premier league. Another loss awaited the youth team a second year in a row (2001/02). The former champion, Maccabi Tel Aviv, once again succeeded in gaining an advantage of one point over them. This time they did not hide their disappointment over reaching only second place in the championship games. During most of the season’s games, the Haifa players dominated the playing field without any doubt, and opened a promising gap between them and the other teams. But just when it seemed that nothing would stop them, they lost in a league game in Ashdod (3:2), and as a result lost their place on the top of the chart. From here on, they had to chase, without success, after the Tel Aviv players, who did not lose their grip and were the first to cut the goal line. Ashdod, which defeated Maccabi Haifa in the State Cup games through penalty kicks, became an obstacle to the Haifa players, who were trained for the second year by Roni Levi. It should be said to the Haifa team’s credit that the players were integrated into many international games in the youth league. The reason for their loss towards the end of the season may have been due to fatigue. The goal kickers for the youth team in this year were: Shai Birok (21), Eran Levi (17), Maor Janah (9), Itzik Ben Hamo (6), Assaf Avrahami (6), Itzik Cohen (5), Kobi Shriki (5), Elad Tzhako (4), Lee Zliat (3), Eitan Azaria (2), Shmuel Hazan (1), Dekel Keinan (1), Liad Amir (1), and Tal Maabi (1). This was the best year for Maccabi “Shmuel” Haifa since the national league started- A fifth championship, a seventh cup and a third “double”. Who can ask for more? During that time, they also made a few historical landmarks. Maccabi Haifa broke the record of points in the league. The number of points accumulated (75) overshadowed the achievements of Maccabi Tel Aviv from season 1995/96, although it must be said that Tel Aviv won the championship with 74 point that were accumulated in 26 league games, compared to Haifa that accumulated 30. In the history of the Haifa club, there was no similar title. In the first championship, with the opening of the new league that substituted the regional league, the Haifa players accumulated 50 point in the two-point- system, and then broke a Record of 23 victories in one season. This season, Haifa reached the number of points accumulated my Maccabi Tel Aviv in its best season. On this second consecutive championship won by Maccabi Haifa, the players accumulated only 43 points, and on the third championship (90/91), they accumulated 43 points again. In the season of 98/99, which was considered special because of its “double” under the guidance of David Levi, the Haifa players did not need more than 67 points. This year, reality overran expectations. The group kicked “only” 73 goals, less than the “double” season, and less than the previous year (83), the bad season. However, this season’s strikers were more successful than the ones who kicked 68 goals in 1984, the ones who kicked 58 goals in 1985, and of course the ones who kicked only 54 goals in the season of 90/91. This year’s championship will be remembered also thanks to the vast gap between the goals made by the champions and their runner ups. Maccabi Haifa gained an advantage of 21 points over Ironi Rishon Le Tzion, and the championship was determined far from the finish line. This is the second best achievement, since Maccabi Tel Aviv finished the season of 95/96 with a gap of 24 points! Haifa will be comforted by the fact that the current gap is not similar at all to former championships. Maccabi Haifa was mentioned in the golden book of the youth league thanks to an unprecedented achievement: it won all 15 home games ferociously. Eran Levi (15) was crowned as the team’s “king of goals” for this season. He was absent from many games because he joined the adults group, for which he played 9 league games, two European Cup games (as the youngest player in the group), and 9 Lottery Cup games. He also played for the Semi Finals of the State Cup. In the second place came Elad Tzhako (13 goals), who also participated in one Toto Cup game. The former king of goals, Shai Birok, who kicked 21 goals, kicked only 10 goals this year, and played in two adult Toto Cup games. Kobi Shriki kicked a similar amount of goals. Maor Janah reached the fourth place with 6 goals, although it must be mentioned that he was absent from most of this season’s games because he was injured badly in his knee and had to undergo a complicated surgery. 4 goals are credited to Itzik Ben Hamo and Oshri Gita. The other Pairs of goals were achieved by the defender Tal Maabi, Shlomi Hanuka (cf. injured Maor Janah) and Liran Shachar. Hanuka managed to play twice in the adult team for the Toto Cup. Dekel Keinan kicked one goal. He did the biggest leap this year, played three times in the adult team (one time in a league), and got to the Olympics first team. Li Zliat, Shai Mimon and Lior Refaelov from the Maccabi “Yoel” group Haifa (Youth A) also kicked one goal. The Cup final was the crème de la crème of this successful season: Maccabi Haifa won Maccabi Tel Aviv, the holder of the cup and the “doubler”, in the final 1:3, thanks to Elad Tzhako’s pair of goals and Oshri Gita’s goal. The retirement of many stars, including the defender Dekel Keinan, midfielder Shai Birok and others, could have caused the group to deteriorate in the season of 2003/04. Nonetheless, the wide strong base of the youth group proved the opposite. The champion drew big talents such as the midfielder Lior Refaelov, the strikers Eden Ben Bassat and Yohai Aharoni, and defenders such as Shai Mimon and Mor Maman. 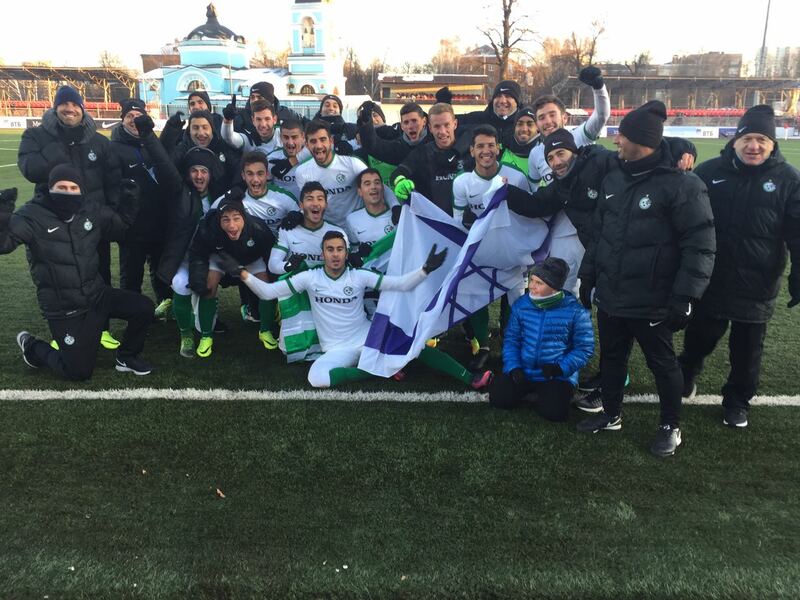 Maccabi Haifa formed one of its best teams in the history of the youth team. From the opening whistle until the end, the players, led by former striker Tzadok Malka (who won consecutive championships with all the teams he coached), demonstrated complete control and topped the charts for three years. The group kicked many goals, at least 86 per season. This number was a record in the club, and it was only two goals less than the general record of the league, which belonged to Maccabi (88). The crowning glory of this season was the game against Maccabi Tel Aviv, which was defeated in Haifa’s fantastic game, with a result of 8:0 – one of the rarest games every seen on the soccer courts. Only a small crisis that rocked the team after it returned from a prestigious tournament in Italy, where it performed well and reached the eighth finals, prevented it from shattering all previous records in the youth league. Even so, the team managed to end the season with an advantage of 13 points over the second team on the chart, Maccabi Tel Aviv. In addition, they made a new landmark; For the first time, two players, the cousins Eden Ben Bassat and Yohai Aharoni, managed to top the 22 goal bar. Ben Bassat kicked 25 goals, the record made by Nadiv Simantov, and Aharoni kicked 22 goals. Ben Bassat also enjoyed a personal and unique experience. He became the first youth soccer player who was invited to play in a European continental youth team, against the national youth team of England. It was a celebration match of 100 years of the English Football Association. The Haifa striker played during the entire 90 minute game, excelled, and kicked the first goal for the Europe team (2:2). Lior Refaelov was chosen as the best department player, and the group’s goals were achieved by: Eden Ben Bassat (25), Yohai Aharoni (22), Lior Refaelov (8), Moshe Halfon (6), Ilan Tefra and Shlomi Hanuka (4 each), Oshri Gita and Arnon Tamir (3 each), Shai Mimon, Eran Levi and Nitzan Boyersky (2 each), Kfir Jumpy, Oren Ido, Abed El Rahim kaabia and Itai Pilo (1 each), and one own goal. The champion team included the players: Amir Edri, Netanel Bendahan, Abdalla Jaes, Tal Maabi, Shai Mimon, Mor Maman, Ilan Tefra, Shlomi Hanuka, Lior Refaelov, Arnon Tamir, Nitzan Boyersky, Kfir Jumpy, Eden Ben Bassat, Yohai Aharoni, Moshiko Halfon, Eran Levi, Oshri Gita, Oren Ido and Itai Pilo. At the end of the season, after 6 years, there was a swap in the professional manager role. Perry Gruper was replaced by Slobodan Drafitz. After a peak came a relative “downfall” to the second place. The season of 2004/05 left the group of Tzadok Malka bare from any championship title or success in the cup games. The second place was supposed to indicate a real fight that Haifa gave the new champion, Maccabi Tel Aviv, which stole their previous two-year title. Except for one series, Haifa did not top the chart at all, and trudged behind the yellow opponent. Despite the lack of success, Haifa ended the season in second place, with two points less than the winner team (68 as apposed to 70). Their only solace was that they kicked 80 goals, more than any other group in the league. But their obstacle was the absence of striker Eden Ben Bassat and midfield Lior Refaelov, who were moved to the adult group, and were participating in some of the premier league games. When they did manage to “make time” for the youth games, they contributed many goals. The players who kicked goals for Haifa this season were: Lior Refaelov (19), Eden Ben Bassat (12), Yohai Aharoni (11), Maor Bar Buzaglo, and Tomer Hemed (9 each), Oren Ido and Mor Maman (4 each), Kobi Terka, Itzik Zaafrani, Moshiko Halfon and Biran Kial (2 each), Shi Mimon, Yoni Ohayun, Abed Kaabia and one own goal (1 each). Nonetheless, Haifa compensated for the loss abroad. The president of the club, Yaakov Shachar, who made the club members in Europ notice his team, continued supporting the future generations to participate in the prestigious tournament of Viareggio (Italy). And that’s where they prepared a great surprise for him. After they had reached the quarter finals with Roni Levi two years before, the men rose to the occasion and managed to reach the semi-final. They made history in the 57’s tournament. Maccabi Haifa became the first group outside of Italy that reached this respectful stage. The players played 7 games in two weeks, returned with various cups and left a great impression. The great effort took its toll in the league and left Haifa empty handed. Haifa opened this season with a great storm. It won 8 out of the first 9 matches. The way to the 7th title seemed paved as an autostrad, especially when two Nigerian players joined in, midfielder Obi Okachuko and striker Yaru Balu. But then Haifa lost three consecutive times and its ride to success slowed down. Tzadok Malka who was on his third year as a coach, tried to stabilize the situation, but he only managed to prevent Haifa’s loss in the last eight games. This led Haifa to the second place again, following its municipal opponent, Hapoel Haifa, who won the first title for the first time. Haifa won 16 games, lost 9, and ended 5 games with a draw. The gap between the teams’ goals, 40-58, shows that most of the problems were in the defense of the group (that accumulated 53 points as apposed to the “Reds’” 64 points). Meir Buzaglo who was a member of the youth team, despite his young age, kicked the highest number of goals (12). The other goal kickers were: Itzik Zaafrani and Yaru Balu (8), Tomer Hemed (6), Dudu Biton (5), Biram Kial (4), Kobi Terka, Amjad Suliman and Obi Okachuko (3), Raad Jabrin (2), Rotem Shacahm, Snir Mishan, Yoni Ohayun and Snir Gueta (1). Maccabi’s goal kickers: Yigaal Yaavetz, Noah Abramovitch. Hapoel goal kickers: Froigel. Goal kickers: Yitzhak Englender (2), Victor Young. Goal Kickers: Reuven Held, Moshe Selector. Gadna goal kickers: Roni Salman. Tel Aviv goal kickers: Ofer Nimni. Haifa goald kickers: David Levi. Goal kickers for Haifa: Hana Farhud (2), Shai Pololovsky (2), Moshe Hershko (2). Goal kickers for Netanya: Alon Halfon. Haifa goal kickers: Beni Beliti (2). Petah Tikva goal kickers: Alon Maya, Ofir Kupel. Tel Aviv goal kickers: Guy Tzarfati (3). Haifa goal kickers: Rajid Baransi. Haifa goal kickers: Elad Tzhako (2), Oshri Gita. Tel Aviv goal kickers: Roe Dayan. Ashdod goal kickers: Niv Zrihan. Haifa goal kickers: Raz Stein. Penalty kicks: Dor Kochav, Bar Avitan and Eran Rozenbaum kicked goals, Gavriel Greener and Haitam Halabi missed. Haifa goal kickers: Dor Hugi (75), Shoval Gozlan (90). Netanya goal kickers: Ogona Azenwaka (12). The team players: Ron Shushan, Yuval Yosifovitz, Aeid Habashi, Amri Zayed, Or Tzaadon, Jaber Ataa, Adi Constantinos, Dor Kochav, Raz Stein, Ismail Rian, Shoval Gozlan. Guest players: Micha Lauta, Dor Hugi, Eden Hamo. The team players: Tal Bumstein, Yuval Yosifovitz, Aeid Habashi, Eden Ben Hamo, Jafe Alaa, Neta Lavie, Yaniv Brik, Micha Lauta, Raz Meir, Shon Weisman, Dor Hugi. Guest players: Adi Constantinos, Eran Biton, Or iloz, Gil Salem and Shoval Gozlan. This is a season that Maccabi Haifa would love to forget. It started well. The team, trained by Moshe Hershko, was ranked first place (9th session). But the second round, after the team’s return from a successful game in the Viareggio tournament, was unprecedently devastating. The team lost seven consecutive games, and the opponent had an advantage of 50 goals, a negative record in the club. From candidates to the championship, the youth team withdrew to the sixth place. A number of losses lead to a gap of 28 points between them and the winning team, Beitar Jerusalem, who reached the first place for the first time in their history. Their only solace was that two of the group’s players, striker Tomer Hemed and midfielder Biram Kial joined the adult team and became an un-separable part of it. The goal kickers for this season were: Tomer Hemed (13), Biram Kial (8), Luhab Kial (8), Dudu Biton (4), Kfir Dar (4), Sagie Lev Ari (3), Adino Yemharan (3), Erez Yossef (2), Omri Azulai (2), Raad Jabrin (1), Snir Gueta (1), Rafi Dahan (1), Yisrael Zaguri (1), Liad Elmalih (1), Itzik Zaafrani (1), and Snir Mishan (1). In this season, the Haifa group once again looked at the top from a lower place. The new coach, former player Itai Mordechai, who played in all of the department groups, reached the top of his career and decided to re-build the team for the next year. He fired the players who were on their last year, and recruited younger ones. This way of thinking cost his seclusion from the championship games, but two of his players, midfielder Yisrael Zagori and striker Muhamad Gadir, continued to the adult team and played their first game with adults at the end of this season. During the whole season, Haifa’s highest rank was the fourth (second series), but towards the end of the season, their level improved and there was room for hope. Haifa ended up in the fifth place, with 14 points less than the champion Beitar Jerusalem. The goal kickers for Haifa were: Mohamed Abi Arisha (10), Mohamed Gadir (8), Mor Dahan (5), Yisrael Zagori (4), Shlomi Azulai (4), Adino Yemerhan (3), Luab Kial (3), Liad Elmalih (3), Ohad Saadon (1), Kfir Dar (1), Or Ben Hamo (1), Sisai Sahelo (1), Eli Erlich (1), Jaber Hino (1), Hail Hashan (1) – two own goals for Haifa. 2009/2010- A tenth Championship from the Movies. Reaching New Heights. For 25 years Maccabi Haifa waited for a coach who would redeem the youth league from the exclusive record breaker, and lead them to a second consecutive victory. After Jonny Hardy did it when setting up the national league (183-1985) came Itai Mordecahi, his then pupil, who repeated this fantastic achievement. This time it was not as easy as might have been imagined . The previous season’s champions had two stubborn adversaries waiting for them. Maccabi Netanya led the league charts for many cycles of games, and Maccabi Tel-Aviv was constantly on their tail. Few believed that the “Greens” could protect their title from these challengers. At Mordechai’s disposal was a team which included veteran players such as Ziv Oson, Or ben Chemo, Shlomi Azulai and occasionaly midfield Israel Zaguri, who both practiced and played in the uniform of the adult team. Finaly, there were two other players whose age made them eligible to play, the striker Muhamad Gadir and the midfield Eyal Golsa who became players in the adult team eventually. In addition the team was joined by a younger age group and together Mordechai was forced to combine an unusual mix of players into a winning team- a challenge he accomplished big time. He built a true “team” in every sense of the word and it was a team which could not be broken. As a matter of fact the team was defeated only once in the league games (a record) and its defense was a veritable iron wall, which was penetrated by only 17 goals during the entire season, the lowest number in the youth league history. To those two marks to Haifa’s credit must be added a perfect score (15 wins) on their home field games, an accomplishment which was only equaled in the 2002/2003 season. 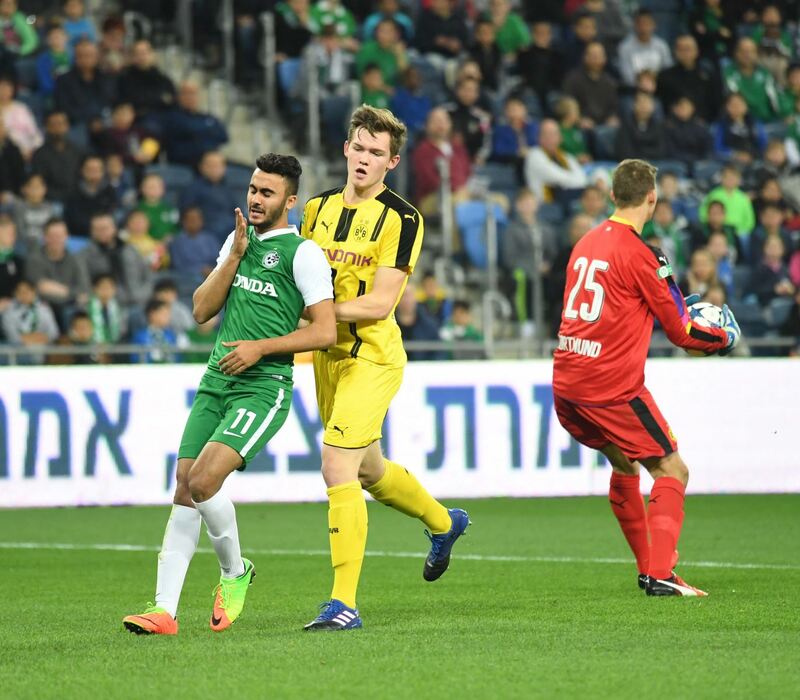 The cherry on the icing of the tenth league championship games was that Maccabi Haifa racked up 75 points, an accomplished equaled only by two teams in the past, Maccabi Haifa in 2002/2003 and Beitar Jerusalem in 2006/2007. The two year champion finished the season with nine straight wins, including victories over all of its opponents to the top. They crossed the finish line with real style, with an eight point lead over the runner up. In the last part of the season, in spite of some tension, a number of players from the first ranking youth league team were integrated in the games. These players would form part of the team’s regular makeup in the next season. The following players participated in the “tenth symphony”: Ram Straus, Bar Hoffman, Chaim ZIskind, Ziv Oson, Omer Yosef, Guy Lifka, Hana Nassar, Sari Falah, Shlomi Azulai, Or Ben Chemo, Gabriel Griener, Muhamad Darwish, Sintiyahu Sllalich, Eran Rosenbaum, Shadi Shabaan, Hasib Abu-RUkun, Zidan Amar, Osama Shaaban, Kassem Mahmid and Ali Adawi. After two straight championship titles, it was only natural that Maccabi Haifa would have difficulty holding on to the title. But it did not give it up easily. At the end of the season Maccabi Haifa was ranked as the runner up after Maccabi Tel-Aviv. Until an advanced stage of the League championship it seemed that the two would have a tight contest for the title which would only be decided at the final game. However, Haifa had sufficient cause, and not merely excuses, which led to its retreat. Aside from the injury of key players, the pride of the team was channeled towards many players who ascended to the adult team training in order to somewhat dim the limelight directed at them, due to the great gap between the two teams, which can often result in failure. During the season many of the first ranking youth team members were integrated into the adult team. They were supposed to form part of its integral structure in the next season, and so, in spite of the loss of the title, and being placed on top of the league charts in only two out of thirty cycles, it can be truthfully said that Maccabi Haifa descended in the ranks as a preparation for future ascendance. A new landmark in the national youth league: Maccabi Haifa did not lose a single home field game in the past two years. They played 30 games in which 28 ended in victory, and two in a tie. This was one of the memorable seasons in the history of the youth league. It is true that they lost the championship and ended as “mere” runner ups after months of being ranked third. They were was not viewed as a credible partner for the old-new champion Maccabi Tel-Aviv, but coach Gili Lavenda had extrenuating circumstances in his favor. Many of the team players had practiced with the adult team during the weekdays and eventually played with the youth team again. They played with a limit on their minutes of play, so they could be included as substitute players in the adult team lineup. No fewer than six players ended up taking the field on the adult team for short periods of time: Eran Rosenabum (4), Shoval Gozlan (6), Ismail Rian, Jabar Ataa, Dor Kochav and Roy Atar. Their contribution to the adult team did not stand out but their absence from the youth team did. It made this season less successful and even so, the defense of the team was noted as highly stable (25) amongst all of the league groups. No one in Haifa was comforted by this, particularly not when nine years later, the youth team that returned to the finals displayed clear superiority over Ashdod. Ashdod was able to win only after victory on the white spot duel (4:3) after Haifa was in the lead (raz Stein), but suffered a tie making goal in a lone attack from the southern port representative. The goals of the season were split between: Roy Atar (13), SHoval Gozlan (12), Raz Stein (6), Dor Kochav (6), Ismail Rian (6), Heytam Halabi (5), Shadi Shabaan (3-was transferred in mid season to Ramat Hasharon from the premiere adult league), Uri Zaadon, Micha Lauta, Eran Malcin, Jabar Ata, Bar Avitan, Gabriel Griener and an own goal. One of the most fascinating seasons in the history of the youth league included coach switching, multi-goal games, a green goal king and a sweet double for desert. At the opening of the season the past player Eric Bando was made coach of the youth team. The match proved itself as the team sped on to an excellent streak of nine straight wins in nine games. Then however came the big switch with Eric Bando bumped up to the adult team and Abraham Abukart the coach of the first boys’ team taking over the youth league. This switch did not have a positive effect on the team’s performance, especially after their defeat, in Abukart’s first game, against Kiryat Shmona (2-3). The Greens refused to stay down however, and quickly recovered to return to a high point acquisition rate, with the 15th and 16th cycle effectively determining the outcome of the entire season. In the 15th cycle of the season, Maccabi Tel Aviv met Maccabi Haifa. The Yellow’s reached an early advantage which they loathed to relinquish. They dominated the field until the very end of the game when deep within the extension period a long kick by Kabar Ataa reached Shoval Gozlan, who made a cunning pass to Dor Hugi, who then put the ball in the net, scoring a tie making goal which left the gap between the two teams at 8 points. In the 16th cycle of the season, Maccabi Netanya met Maccabi Haifa. The guests from the Diamond city were leading 2-0 against the ten Green players. When the game seemed lost, the Greens woke up and Shoval Gozlan scored a pair of decisive goals, which together with another goal by Yuval Yosefovitch, resulted in a stunning turnaround. The Greens now believed they could not lose and they galloped towards the desired championship title. And the title? After the viscous loss in the previous season’s finale, the Abukart pupils reached the finals versus Netanya, and the Greens once again found themselves behind the Yellows. A turnaround in the final minutes of the game thanks to a pair of goals by Dor Hugi and Shoval Gozlan established a historical double and a first cup to the Carmel after a decade. Many players exhibited impressive performance in the adult team under the wand of Bando: Ismail Rian, Kabar Ata, Iad Habashi, Shoval Gozlan, Adi Constantinus. The goal kicks for the season of 2012/2013 were split as follows: Shoval Gozlan (28), Ismail Rian (15), Dor Hugi (8), Roy Atar (6), Micha Lauta (4), DOr Kochav (4), Raz Stein (3), Adi Constantinus (3), Shawn Weizmann (2), Yuval Keren Gal Malka, Yaniv Brik, Uri Zaadon, Yuval yosefovitch and Jabar Ata conquered 1 goal each. History! There is no better way to describe this sweet season which Abraham Abukart and his pupils experienced. The Champion assumed first place in the league by the sixth cycle and held it throughout all remaining games. 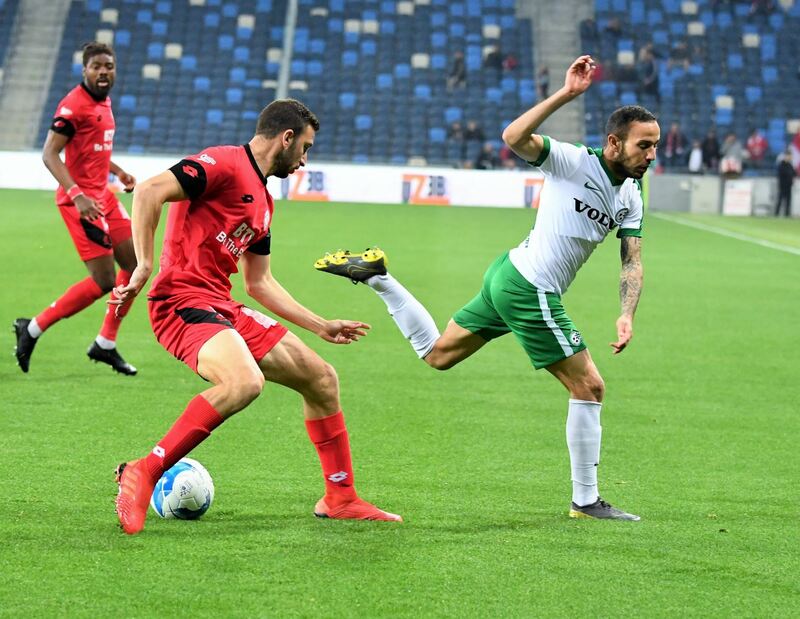 AT the opening of the season, the Greens were unable to hold steady, and side by side with impressive victories also came a number of disappointing results such as defeat to Beitar Tobruk, and a home tie against Hapoel Kiryat Shemona. In the seventh cycle came a “momentum” changing game. The pupils of Abukarat went forth to do battle on the fields of the Super Land in Rishon Letzion against the Orange clad Poel team. The Greens then erased a 0:1 lag to win an impressive 2:1 victory on one of the league’s toughest fields. From here the Green steamroller started its charge. A streak of 6 straight wins, with the cherry on top arriving in the 9th cycle. The Greens left for Morasha for a “light paper match” with the last ranking team on the league charts, “Hapoel Ramat Hasahron”. The locals stunned Abukart’s pupils by reaching halftime with a convincing 2:0 lead. But the Green locomotive was not deterred! In the 63rd minute Shawn Weitzmann kicked the ball into the net and gave the Greens hope. And then in the 86th minute an outfield ball of the Greens reached the head of the midfield Eden Ben Hamo, who rose above the crowd and head butted the tie maker. The stadium goers thought the game was over and that the Abukart pupils would be satisfied with their impressive comeback, but the Greens had other plans in mind. In the 88th minute the goal king of the team, Dor Hugi, completed a Green attack with a close range push and established a magnificent 3:2 lead. From here onwards Abukart’s pupils did not look back and completed the Green stampede with the flourish of a second championship plate in a row. And what of the cup? Abukart’s pupils provided a number of splendid displays on the way to the final game which was held in the mythological Kiryat Eliezer stadium due to the arrival of the two municipal groups to the occasion. The occasion of the cup final provided a splendid spectacle. 10,000 spectators celebrated in the stands as the Greens danced on the grass. The impressive show by Dor Hugi, who had conquered three goals, ended in a crushing 4:0 victory and the lifting of the cup in front of those same 10,000 spectators (and all time record number for youth league games in Israel). As appropriate for the top ranked youth team in Israel, the Greens sent to the adult team lineup a respectable list of players who provided a number of premiere displays, some of which were quite impressive. Among them are: Dor Hugi (19), Shawn Weizmann (15), Micha Lauta (4), Or Iluz (4), Adi COnstantinus (3), Eden Ben Hamo (3), Amit Zanti (2), Eran Biton (1), Neta Lavi (1) and Aid Habashi (1). 2014/2015: A Season filled with Turnarounds which ends as runner ups. The season after the second historic double of the Green youth division was fickle. Side by side with incredible games such as Abukarat and his pupils came a number of unecessary losses which essentially cut short the dream of third championship Green victory streak. The season started well, and the Greens were able to overcome the transfers of the Double stars and build up a young, fresh and energetic lineup, which seized the first rank in the league in the opening games of the season. In the 12th cycle of the season, the greens came to Kiryat Shalom to clash with the Yellows from Tel Aviv. Maccabi “Shmuel” was unable to achieve victory and suffered a disappointing 1:2 defeat which unseated it from the first rank in the league charts. This would only be the first of several disappointing losses: a loss to Kiryat Shemona, a surprising loss to Hapoel Ramat Gan, and a tie Versus Beitar Tobruk. After this disappointing streak came the turn of the joyful streak. Abukart’s pupils racked up nine victories in ten games and galloping forward, slowly narrowed the gap between them and the leading Maccabi Tel-Aviv. The 27’th' cycle brought the two leading teams to a true season game in “Ketzef”. The Greens led twice with excellent goals by Eran Biton, but Maccabi Tel-Aviv showed character, bounced back twice and then turned the tables and racked up a 4:2 victory. Abukart’s pupils knew that only unbroken victories in the rest of the season would leave them a chance at the title. The Greens won every remaining game but their stumble against the Yellows form Tel-Aviv could not be corrected and the season ended with them ranked as runner ups. In the national cup the Greens were washed out in the eight finals, after the lottery matched them up against Hapoel Kiryat SHemona. The Greens came to north only to be defeated in a penalty kick duel. Goals conquered by Maccabi “Shmuel” Haifa in this season: Muhamad Awad (21), Shawn Weizmann (14), Amit Zanti (7), Eran Biton (7), Fars Margia (4), Raz Meir (4), Eitan Woolbum (3), Or Iluz (2), Yam Cohen (2), Aid Habashi (2), Gil Salam (1), Daniel Tweizer (1), Walid Darbish (1) and Yaniv Brik (1).